This is why I delete most of what I write when I have the chance, no chance on forums though. I still experience a lot of time alone. February 4... huh... this would have been sometime after, just before, or during, I took 10 grams followed by 7 grams followed by 5 grams followed by 4 grams spaced not to develop too much tolerance. I remember the 7 grams being the deepest fear I have ever and will probably ever feel. 5 grams was hard too. And eventually on the 4 grams things evened back out. But, it fucked me up for awhile. From there was the start of me actually meditating because I had traumatized myself a bit. Crazy guy. I'm happy that it happened. I suspect my lack of healthy relationships (my unhealthy aloneness!) led me to into psychedelic-use. And my naïveté led me to act like I knew what was going on while I probably nearly killed myself. Haha. Stupid kid, damn you! :). It's funny that I still think I haven't tripped hard in the way that most people do. But, I have a couple times dropped life completely... two times. The world didn't fall away, but it is something to drop life completely. We don't even realize we're hanging on. :). I can let it go a bit now and then on low doses nowadays. That's what I want to develop and experience more of. You drop life completely, and you take it up again! Edited by Guy1298, 15 November 2017 - 07:21 PM. The idea that we are alone is the result of believing the illusion that we exist as individual beings in the first place. The notion that there is an essence that gives reality to the illusion of Spooner is inherently flawed. There does not exist a solitary entity that can in fact be alone. Without the countless individual living cells and bacteria that combine to create the illusion of Spooner there is simply nothing remaining that can be alone. The soul that existed before my birth and endures after my death is considered "alone" simply because it is separate from the series of changes that we identify as life. No river exists without flow, and it is the same with your soul or essence. It is all illusion, created by the lack of precision in your perceptions. We're not alone. Your statement is flawed. You're only alone in your own mind. Edited by d34d, 06 February 2018 - 06:36 AM. Kind of a strange way to introduce yourself to the site, but I'll behave for now. Welcome to the 'topia fellow traveler. I think it says 'the point of no...' on back side. Deleting your post doesn't work well once someone has quoted it. Think, and rethink before you hit post... All opinions are welcome, just be able to stand behind the one you choose. Welcome to 'topia d34d, new perspectives are valued here. Don't really disagree with your original post, but Juthro is correct that was not really my point. I spend a lot of time dealing with questions like, "Where is your shadow when the lights go out?". Can you make a picture of a flowing river or just imply it? So Juthro has, over time, become more familiar with the quirks of my thinking. Hope to count you as a friend soon, glad you have joined us. Edited by Spooner, 06 February 2018 - 02:15 AM. It's always nice to see things from a newb's eyes. Definitely a humbling experience when you get yourself to the point of being bored because a lot of challenges have been conquered. New perspectives are always refreshing, and rekindles the drive to push boundaries. I forgot to refresh the page. If I had noticed I would have probably left it there, it's just that I had something in mind but it flew out the window as I got distracted by a game I was playing. After having had reread Spooner's post a few times it felt like not much more was needed to be said, although one day I may come back to this post. Thanks. 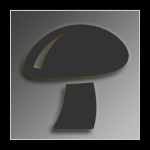 It's nice to come across you here at Mycotopia. I totally get getting sidetracked and lost.... Happens to me all the time brother. It's been a while since the last time I logged into here so I had not read some of these posts. I was feeling a little down today but after I read what other topians had posted here I feel happy now and motivated. Thanks to all who have contributed to this post! I love you all! Edited by Deepmeditator, 18 March 2018 - 10:54 AM. I love being alone. In my twenties and thirties i always had to be in a crowd.. or with friends looking for a crowd. Was very hyper nervous unless DOING something. Then early 40's i started to get annoyed a lot. My life seemed so superficial, i was frustrated with being superficial. This material things, and friends... they come, and go, like waves. So i don't worry about things like that anymore. I do have a few acquaintance's, but it is hard to have close friends because i do not enjoy 'going out' much like many want to (i like woods, waterways.. not bars, etc). And people once they get in your house it is hard to say "okay time for you to go now i need to read, or bathe". I feel drained very very easily around people. Love the late night, when the world is asleep and it's like i have the whole town to myself. Sometimes for some of us maybe it is not some epiphany, or enlightenment in how we found our alone being... but we just got tired. A lot of people need to have relationships and feel alive by a lot of emotional drama. Make up break up cycles... and it's hard to make friends,,many women my age are looking for a partner now (especially in this area i currently find myself in), and that makes it hard to talk about other areas of life, and the mind that unfold's at this stage- i don't want to miss it by pursuits of my younger restless self. . I do really love the writing of this original post of Osho's. His story also weaves the three fates around the cross (from a christian perspective) to accompany to the death long after all friends and enemies are gone. Really beautiful in a way. Edited by whirledpeas, 23 March 2018 - 06:06 PM.